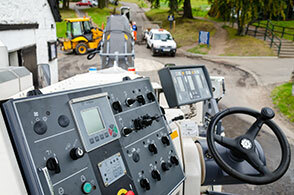 Road planing is usually used as an alternative to the complete removal of the road surface. 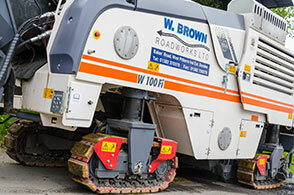 Instead of time consuming and costly excavation, the damaged road surface is removed using a planing machine, allowing the new surface to be directly overlaid onto the sub layers of the existing. This provides a more cost effective and greener surfacing solution as an alternative to complete construction. If required we can work closely with all main contractors and carry out advance programming to ensure that schemes are completed within their individual contract constraints and deadlines. We can handle and dispose of large and small quantities of asphalt planings, including tar bound hazardous waste. With years of experience in the industry, we have the expertise and resources to meet a wide range of project requirements and work with all our clients and supply partners to find the best solution possible to meeting their requirements. 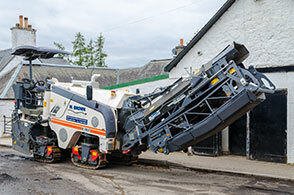 Our fast and convenient 1.0metre planer is a high performance machine that tackles road surfaces with ease. 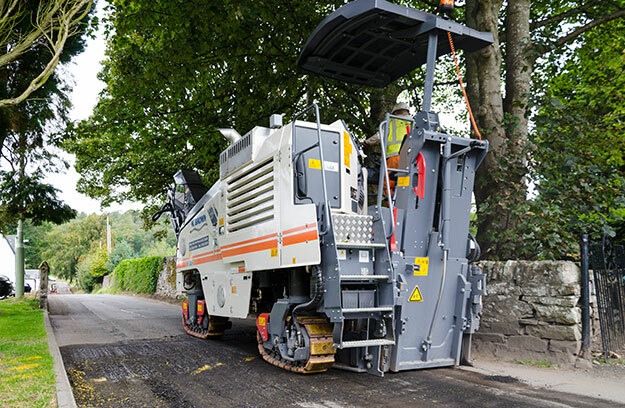 Whether you’re looking to remove partial bits of pavement, or lift up whole asphalted areas, our 1.0metre planer is a great option. It is economic in terms of how fast it tackles spaces, which allows our clients jobs to be completed efficiently.